Attorneys frequently need EBV's valuation assistance on behalf of their clients in the areas of IRC estate and gift tax reporting, divorce / marital dissolutions, and litigation-related matters. Accountants rely on EBV's experience to perform supportable valuation analyses for their clients’ financial reporting needs or other valuation services their clients may require, such as gift and estate tax, litigation-related matters. EBV helps corporate management with their financial reporting requirements by providing supportable valuation analyses involving purchase price allocations and goodwill impairment testing. 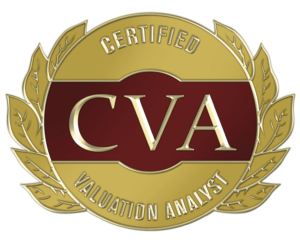 Business owners rely on EBV's valuation expertise for a variety of reasons: buy-in / buy-out of an ownership interest; establishing value in the purchase or sale of a business; buy-sell agreements; shareholder disputes, among others. Equitable Business Valuation ("EBV") was founded by Mr. Kevin J. Wilson and serves attorneys, accountants, business owners and company management for business valuations related to tax matters, financial reporting, transactional and litigation matters. Please refer to Mr. Wilson's professional background for more details on his experience and the description of services EBV performs. 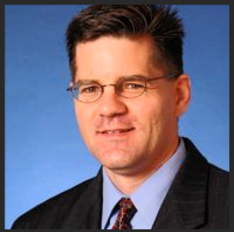 As a trained valuation specialist, Mr. Wilson has an in-depth understanding of the various issues and nuances that are inherent in the valuation process. 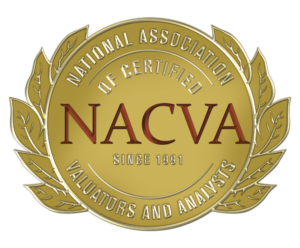 He is Accredited in Business Valuation (ABV) by the AICPA and is recognized as a Certified Valuation Analyst (CVA) by NACVA (National Association of Certified Valuators and Analysts).